I was scared to mention it to anyone at first. I was worried I wouldn't be able to do it. Ryan actually quit smoking almost a month ago. We fortunately did not quit at the same time (we may have killed each other if we had) and took our own steps and processes with it. Ryan had a fun night and decided to quit on a Sunday where he was slightly hung over and had no desire to smoke at all. By the end of that day he was sort of wanting one and the next few days he really wanted one, but he held out. Me? I wasn't ready yet. I was scared. But last week something came over me. And to be honest, unless YOU are ready to quit, I don't think you will be able to. I am thankful Ryan didn't push me (much) and let me come to it on my own. I was courteous around him as much as I could be. I tried not to smoke in front of him during the hardest parts of quitting, but he surprised me by joining me outside a few times and then it not bothering him at all before long. Ryan told me quitting smoking was the hardest thing he had ever done. Harder than serving in Iraq and Afghanistan. Harder than bootcamp. Which made me more nervous about quitting myself! I know smoking is unhealthy. And expensive. We both did... but addiction is a powerful thing. And we were very addicted. Ryan has been smoking for ten years. I have been smoking for six years. Man, seeing that in print makes my head spin. Has it really been six years??? Ryan was usually a heavier smoker than me, but in the past year or so I caught up to him. We were both basically pack a day smokers. If we were out (or drinking) it was usually more. We would go through a carton a week most weeks, if not more. It was time to stop. So Friday night, I sat in my garage after we came home from bowling with friends. I had two left in my pack. I felt it in my heart then, these would by my last ones, this would be my last pack. Those thoughts ran through my head over and over again as I finished them and went to bed, throwing my empty pack away as I did so. I hoped to sleep in so I'd have less time to deal with cravings. Even though I went to bed late I was up early. I took it hour by hour. Let me make it until 9am... 10am... 11am... then I started watching movies. Make it to the end of this move. Then the next movie. Ryan eventually got up and found me practically shaking on the couch... I hadn't mentioned to him that I was trying to quit until that moment. That entire weekend was extremely difficult. I cried more than once, literally sobbed on the couch as Ryan tried to help me through it. Nicotine withdrawl is no joke, I didn't feel like I could make it. I pushed myself just to make it until bed time. I downloaded free stop smoking ads on my phone. I played with silly putty to give my hands something to do. I tried meditative breathing. I drank green tea. I cried more. I paced. I prayed. The first seventy two hours are the hardest... the most cravings and the strongest. The vivid nightmares and dreams are rough. Then it gets easier. Not easy by any means, but easier. Saturday should have way, way more cravings, but I didn't download the app until about five pm so the seven cravings I had occured between 5pm and 11pm when I finally crashed into bed. They are becoming less as in I am having less cravings and they are weaker and shorter. Thank God. This app has helped me so much. When I have a craving I hit the button on this app (after seeing my picture of my motivation) and it gives me encouragement statistics and such. I've made it through some major triggers too.... a work day (now week), traffic, driving/being in the car, having a large meal, leaving a movie theatre and others. The two major ones I have yet to encounter are being around someone or a group of people smoking and drinking alcohol. They will happen sooner or later and I feel like I can do it. I wanted to quit and I feel positive about it. Ryan has been amazing through it all too. I am so proud of him for kicking this off. He read books about it (Never Take Another Puff by Joel Spitzer, a completely free book available online) and chewed gum to curb his cravings. He also switched from coffee to tea, which for those of you who know my husband and his coffee addiction, this is a feat in itself! We both went cold turkey, no patches, nicotine gum or chantix. I personally didn't even chew gum because I didn't want to pick up another habit. Yes I know gum chewing is hardly as bad as smoking but it works in my brain. We've started walking Rylie in the evenings so we don't just sit on the couch and watch TV. Changing our routine helps! My latest stats from this morning. That's a lot for one week. I was scared to mention it before now because I didn't want to let anyone down if I failed. Silly right? I know support is important and I am not out of the woods yet, but I am getting there slowly but surely. I made it through the hardest week and I can keep doing it. 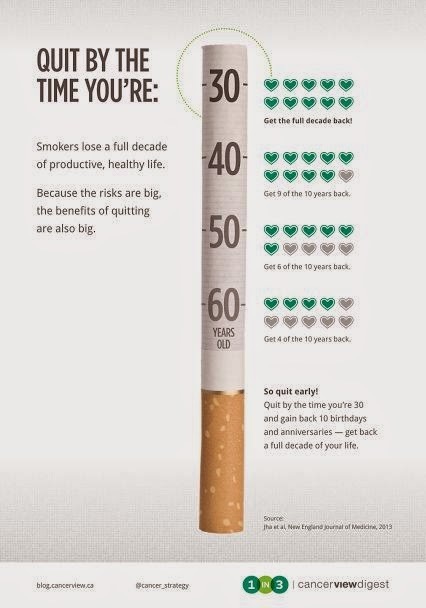 If you smoke and want to quit, do it. When you are ready, you will know, and you CAN do it. The LiveStrong app and the QuitIt app (both free) have helped me immensely, especially the LiveStrong app and the community message boards. If you slip and smoke again, it's ok, just try again. Each time will get easier. You CAN do it. If I can, anyone can. Thanks for reading all, wish me luck! Good for you! I smoked in high school and my early 20's, but it was never more than like a quarter pack a day. I quit and then started back up when I got divorced, but it was short lived. Good job! It is a life-changer. I've known many people who have taken the same path as you and seen how difficult it was for them, yet every single one of them has told me that they are so happy and thankful to have quit. Just take it a day at a time. 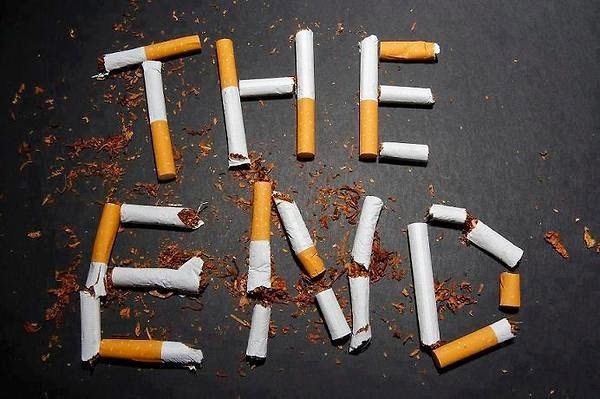 Many congratulations on quitting! Quitting anything you enjoy doing (especially something like this) is difficult. I couldn't even imagine what that is like, as I am a non-smoker but I admire the strength and determination you had to get through the first week. Here is to many more healthy weeks ahead! Awesome job! 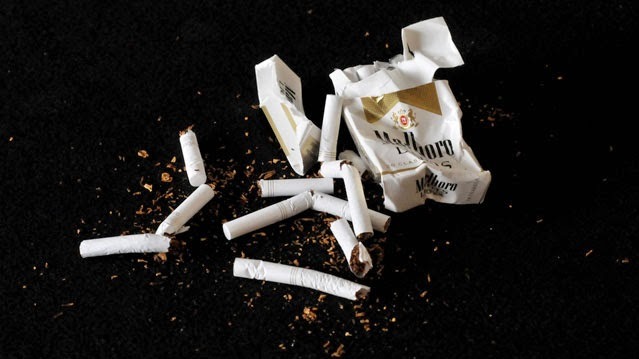 Quitting any habit it hard, I couldn't imagine quitting something I was addicted to.